i have a fracture in my left fibula(leg).i was very active before. what exercises can i do to stay active without stressing leg? How far should I run for sprint intervals? Jason is a personal trainer and group fitness instructor with a passion for helping others set and reach fitness and wellness goals. He and his wife Katie are proud parents of 3 active boys. He ran cross country and track in high school and played on the rugby and crew club teams in college. After the birth of his first child he gained 30+ pounds and lived out of shape for several years before getting his health back on track. 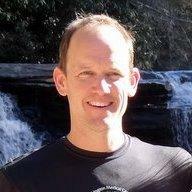 He now enjoys training and competing in triathlons and shares his love of swimming, cycling and running with others. He strives to help others find a passion for fitness and healthy living habits. He always encourages proper fuel and hydration and is committed to help others mentally, physically and spiritually. Jason holds a certificate in personal training from the National Academy of Sports Medicine (NASM) and has continuing education credits in working with Youth Athletes, Resistance Training, Altering Body Composition, and Nutrition. He is also certified as an RPM™ (indoor cycling) instructor from Les Mills. His CPR/AED certification training is with the American Heart Association. He earned a Bachelor of Arts (BA) in Psychology from Tulane University and a Masters in Business Administration (MBA) from Keller Graduate School of Management. $55.00 / hr, 1st consultation - no charge. $30 for 1/2 hour sessions & package discounts available.